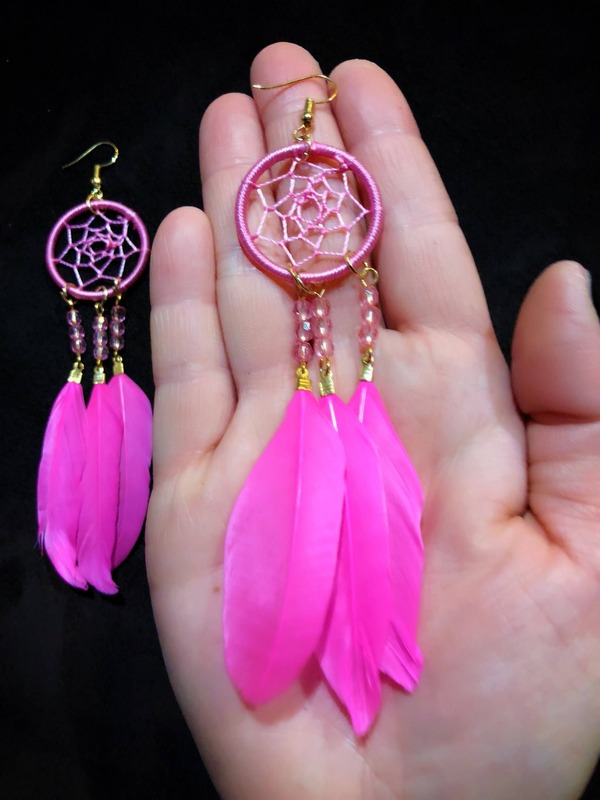 Handmade dreamcatcher earrings. 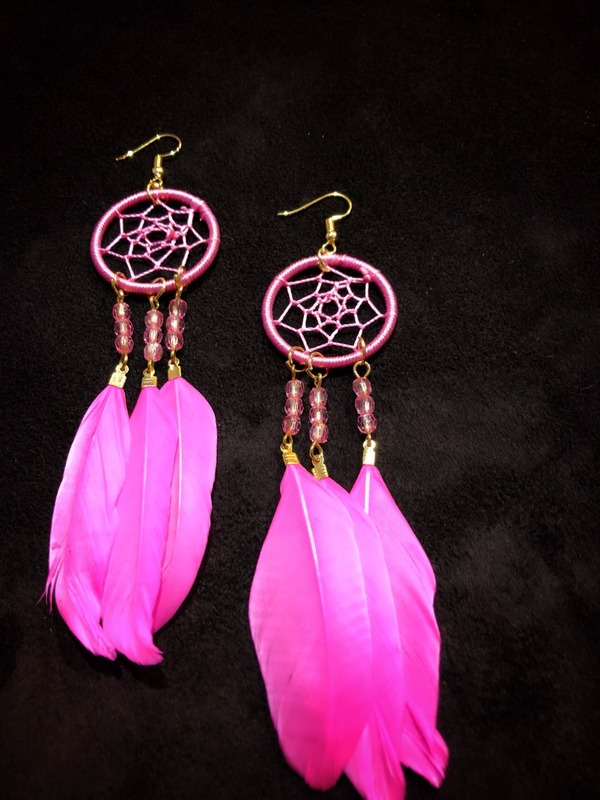 Pink color made with natural feathers and matching crystal beads. 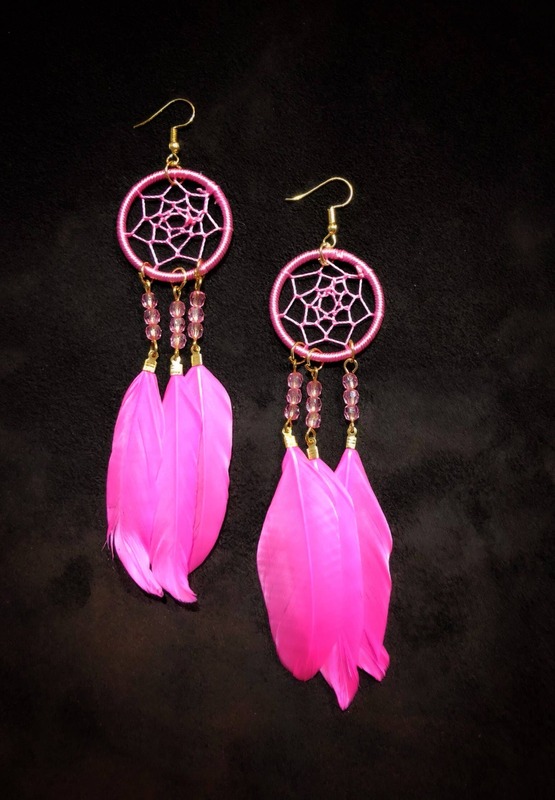 Dimensions are approximately 1” wide by 4” in length (not including the earring hook).